Spinal cord injuries are often life-altering, commonly associated with partial or complete paralysis. 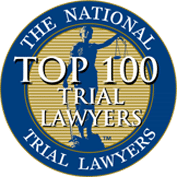 The lawyers of Wagner & Wagner Attorneys at Law have seen firsthand the physical, psychological and financial challenges created by spinal cord injuries. We know that these victims can lead fulfilling lives with the help of adequate treatment, rehabilitation and adaptive devices. 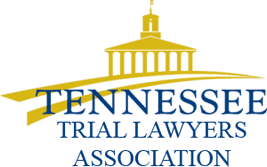 Therefore, our compassionate Chattanooga spinal cord injury lawyers diligently fight to secure compensation that covers the extensive costs of these medical necessities. Complete injury. A victim with a complete spinal cord injury experiences no feeling or ability to control the muscles below the location of injury on the spine. These injuries are almost always permanent, requiring adaptive measures to assist the patient with daily functions. Incomplete injury. An incomplete injury has a higher likelihood of recovery. With this type of spinal cord injury, the victim may also experience paralysis, but only partially. He or she may have a difficult time controlling his or her muscles and decreased sensation in the affected area. Though an incomplete injury is considered temporary, recovery still requires extensive medical treatment and rehabilitation. Our knowledgeable spinal cord injury lawyers understand the complexities of these injuries. The degree of severity with a spinal cord injury depends on the location of harm to the spinal cord. Victims with injuries to the upper portion of their spinal cords may experience complete paralysis below the neck. This condition can impede an individual’s ability to breathe independently. Victims experiencing harm to the lower half of the spinal cord are more likely to have an incomplete injury, with some diminished function of the limbs. Complete spinal injuries are separated into two categories. Paraplegia is paralysis of the legs and lower half of the body. Quadriplegia is paralysis of the arms and legs, along with the inability to perform bodily functions. Whether someone’s negligence left you with paraplegia or quadriplegia, Wagner & Wagner has the knowledge and experience to fight for the compensation your injuries deserve. If you or a loved one suffered a spinal cord injury, contact a hometown law firm dedicated to justice. The reputable injury attorneys at Wagner & Wagner Attorneys at Law are members of your community. 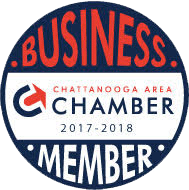 We proudly serve the communities of North Georgia, Cleveland and Chattanooga, TN and the surrounding counties. Call us today at 423.799.3532 or complete our contact form to schedule a free consultation.